Setting up a realistic budget is crucial when you experience a sudden drop in income. But for a budget to be successful, you need to review your monthly expenses as a family, so that everyone understands where the money is spent each month. And don’t forget to include all your debt repayments. Then add up your monthly expenses and work out the shortfall based on your new reduced income. There is no shortage of online budgeting tools that can help you with budgeting your money. But make sure you are honest, however hard it is, or you will be hit with unpleasant surprises down the line. It might be the right time to take out a short-term loan to help you adjust to your new financial situation or cover emergency expenses. Once you have worked out a sensible budget, you will be able to look at where you can start to cut expenses straight away. List the things that you no longer need, or could do without. Do you really need to spend money on dry cleaning, beauty treatments, restaurants, gas, public transportation, gym membership? Figure out what your family can cut back on (or cut out) to make sure you avoid spending more than your new reduced income. It can often help to split your outgoings into non-essential and essential items. Sometimes even just cutting out those small, every day non-essentials like take-out coffees, magazines or candies can make a big difference. There’s no doubt that this can be very difficult, especially when you have young children. But it doesn’t need to be forever and can make all the difference in helping your family be in a more stable financial position. Following a sudden loss of earnings, you will need to look for ways to boost your income as quickly as possible. While you are job-hunting, you could also look into generating income through a variety of creative ways. Do you have things that you don’t use anymore? Selling unwanted items is a quick and easy way to make some extra cash, while also clearing some space. You could even think about starting a low-cost home business selling handmade products and crafts, detailing cars, cutting lawns or babysitting. Don’t put your skills to waste as they could prove to be a great money maker for you and your family. If you have recently experienced a dramatic change to your income then it can be an exceptionally difficult time financially and you’ll likely have to make some tough decisions. 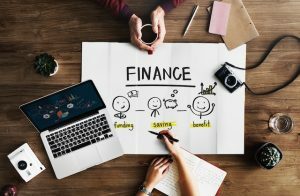 But living on a realistic budget and cutting back on the non-essentials, while trying to boost your income will help you build a strong financial base and help you get back on your financial feet.